Begin your descent into madness and explore every cursed corner of Arkham. You may find valuable objects and information lying in some shadows, while bloodthirsty monsters await you in others. 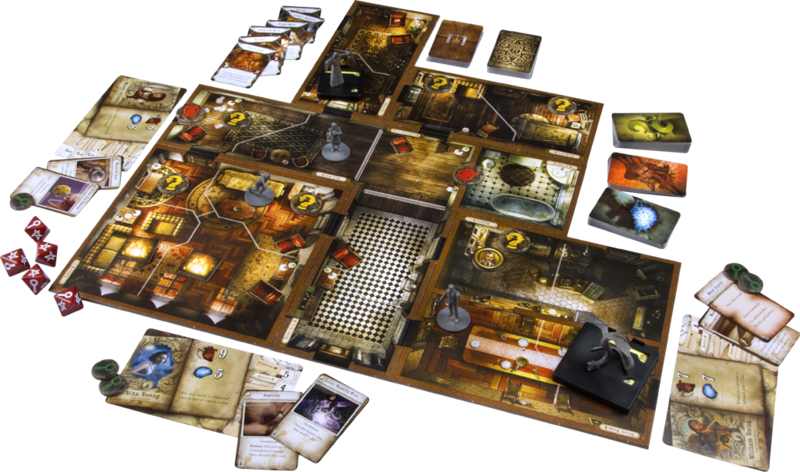 The Mansions of Madness Second Edition core set has everything you need to immerse your team of investigators in the disturbing scenes and settings inspired by the work and ideas of H. P. Lovecraft. Travel across 24 double-sided map tiles, the arrangement of which will vary with each and every play, and confront 24 sculpted monster mini figures with eight plastic investigator minis. The app will guide you every step of the way, from randomizing game events to placing tokens and collecting cards setting up your starting map tiles to spawning the very last monster.